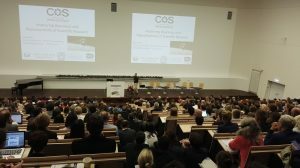 From September 18th to 22nd, the 50th Conference of the German Society for Psychology (DGPs) was held in Leipzig. With talks and posters from all major fields of Psychology, the conference showcased a wide variety of current developments within psychological research. CrossWorlds alumnus Daniel Pietschmann presented a poster entitled “User Experience, Spatial Cues and Spatial Mapping: When is stereoscopy a good choice for virtual environments?”. In a session on learning with media, CrossWorlds researcher Alexander Skulmowski held a talk describing how “Learning time determines cognitive load in embodied learning tasks.” Additionally, this session featured two talks by researchers from the affiliated chair of E-Learning and New Media: Steve Nebel talked about feedback and competition due to highscores in educational videogames, and Maik Beege introduced his research on the split-attention effect. Within a symposium on social factors and performance in school, Sascha Schneider gave a talk on social cues in multimedia learning. Moreover, he had organized a symposium on emotions in multimedia learning, in which he introduced his work on emotional decorative pictures. The conference offered fruitful discussions and new perspectives. 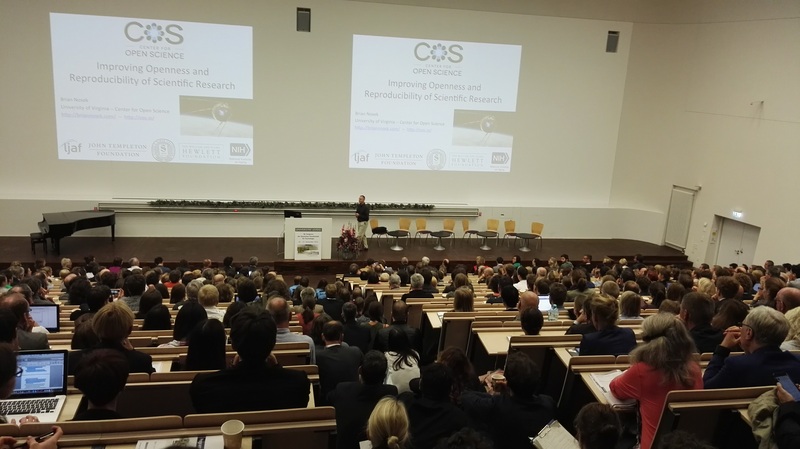 In particular, talks on Open Science – one of the “Hot Topics” of the conference – as well as a selection of high-profile keynote speakers provided food for thought. This entry was posted on September 22, 2016 at 1:02 am and is filed under Conferences. You can follow any responses to this entry through the RSS 2.0 feed. Both comments and pings are currently closed.